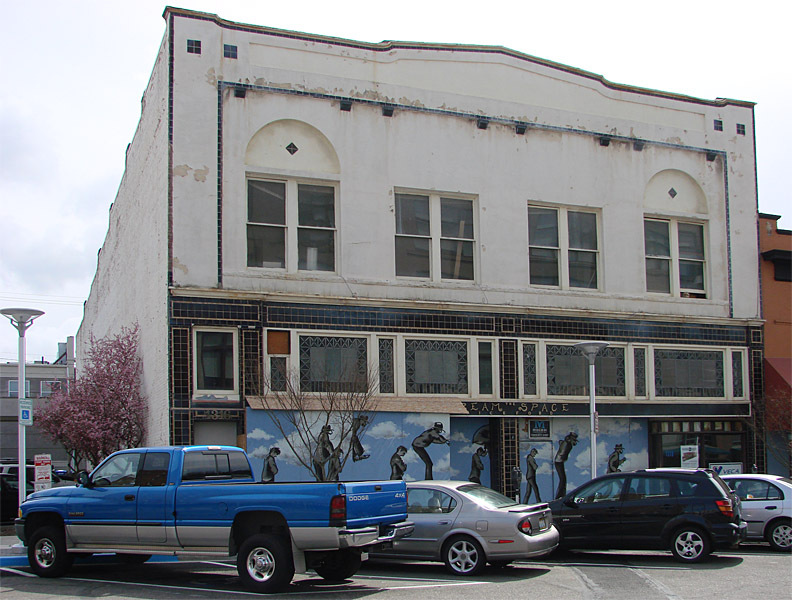 1302-1304 Bay St./2-8 Prospect St. 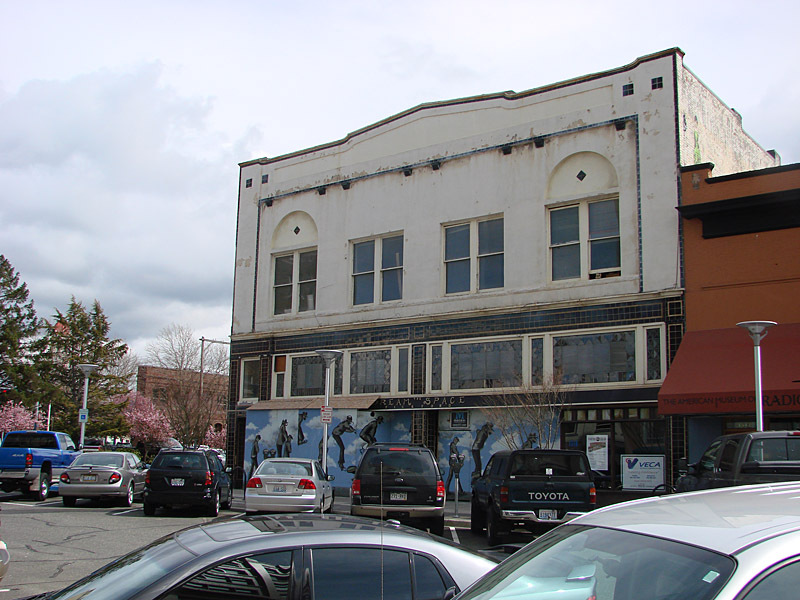 The building is on the east corner of W Holly and Bay streets. 1312 Bay St. between the Breier and Countryman buildings. 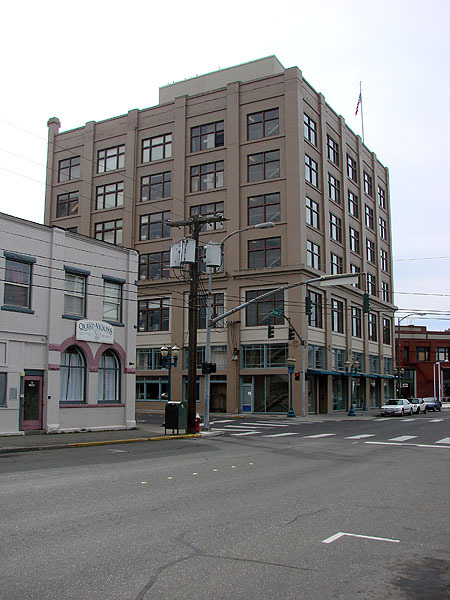 The 1905 city directory records The Racket Store, ladies and men’s furnishings (Lincoln C. Countryman, proprietor) at 1316, and Whatcom County Implement Co, harness and carriages (C.L. Orr, proprietor) located at 1318 Bay Street. 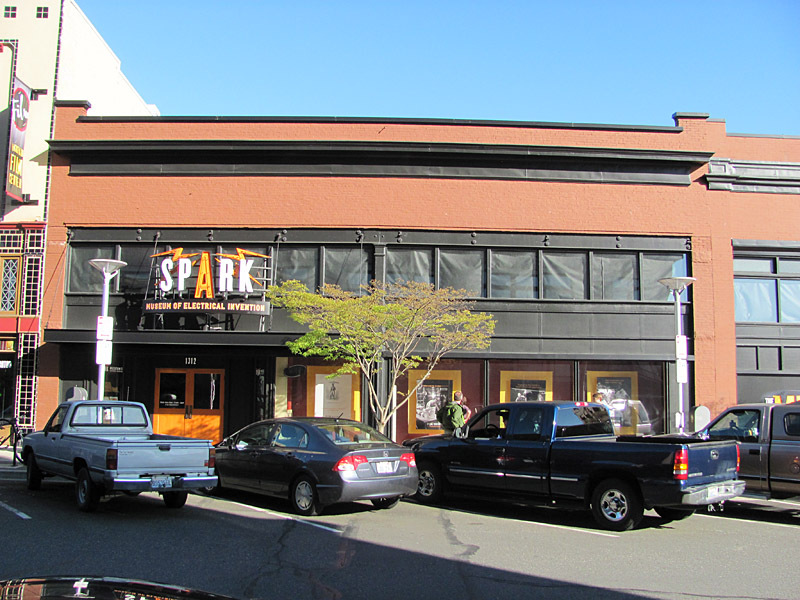 By 1910, 1316 becomes Countryman Dry Goods, and Whatcom County Implement moves to 1322 Bay Street with no information on 1318 Bay Street. Countryman continues at 1316 into the early 1920s. The 1913 Sanborn map designates the second floor as occupied by a business college, the exact name unclear. In 1925, W.H. 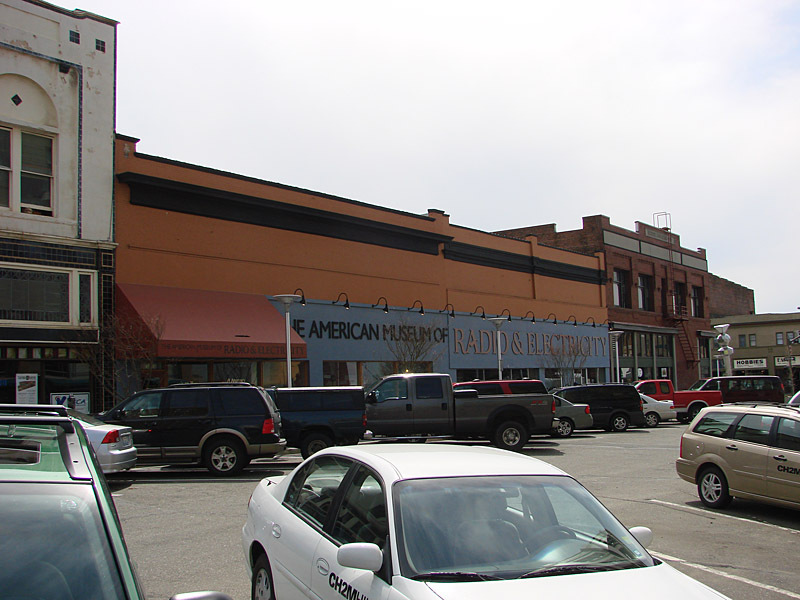 Cleaver Department Store appears at 1316 Bay Street with Thomas A. Horn as manager. This business becomes Horn-Whitson Co. dry goods until 1935 at 1316-1318 Bay Street when the site is then listed as vacant. 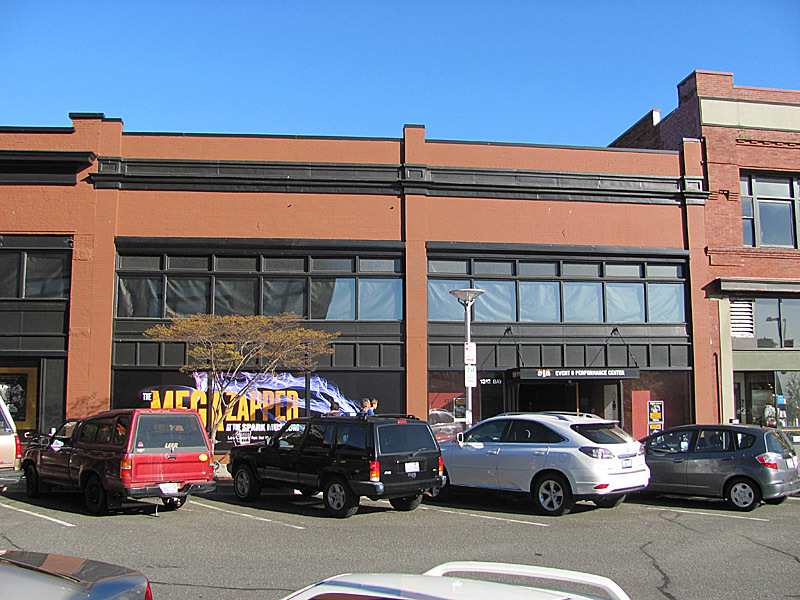 Hale’s Women’s Clothing (Herman Hurwitz, manager) appears at 1316 Bay Street in 1936 with 13181/2 being designated as the LC Countryman Building with eight offices upstairs, mainly occupied by music teachers. 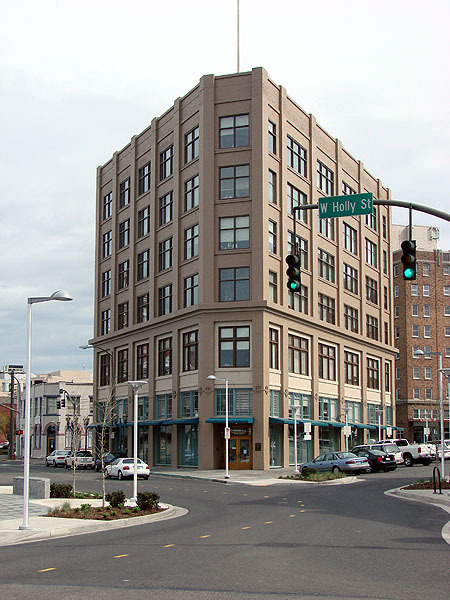 The building occupies the triangle created by the intersection of Prospect, Bay, and W Champion streets. 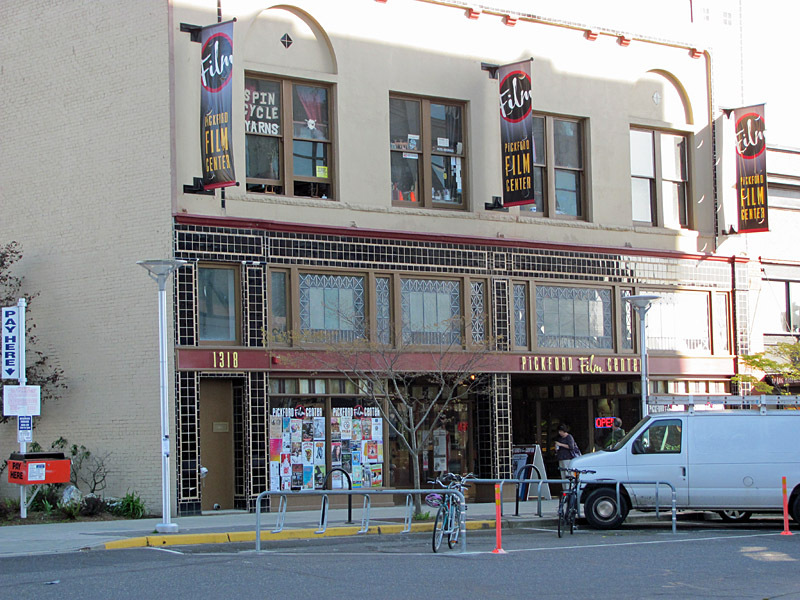 While the Flatiron Building has been a Bellingham landmark for almost seventy years, it received Federal Landmark status in 1983 and, even more recently, Local status in 1994. Upon construction, it was one of the first reinforced concrete buildings in the city, and was also the tallest until 1926. The triangular "flatiron" type of building was quite popular among American architects in the first decade of the twentieth century. 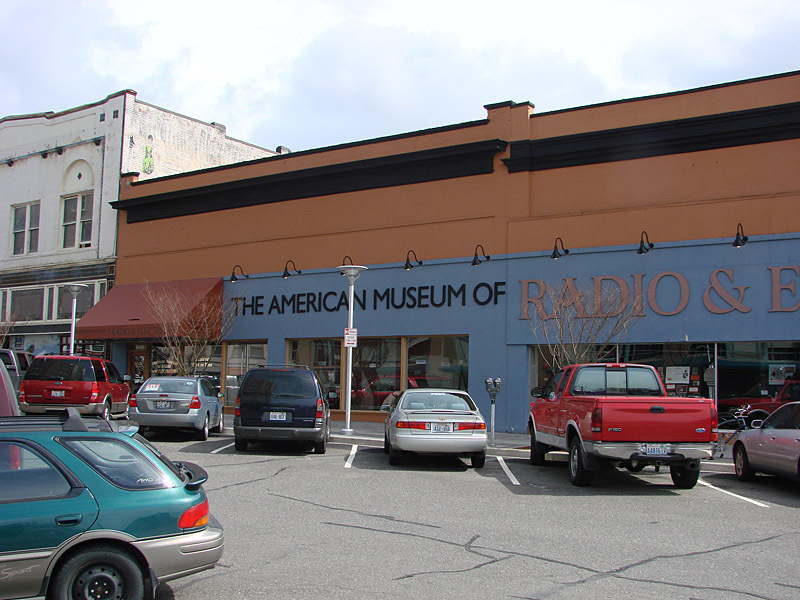 Daniel Burnham"s 1902 Flatiron building in New York was the inspiration for many, including the one in Bellingham. The style was particularly fashionable in cities that have odd shaped blocks varying from the traditional grid system. 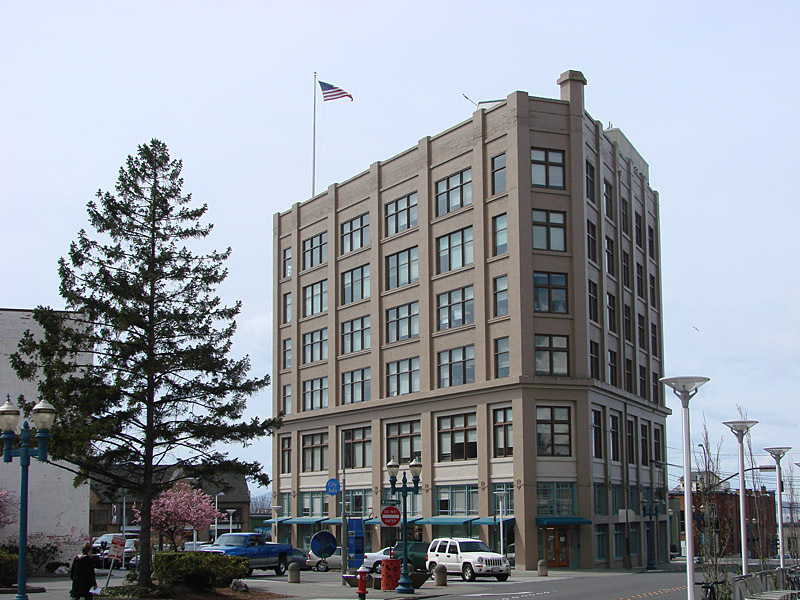 The Flatiron Building was erected for the Bellingham Bay Furniture Company; one of the city's oldest furniture firms established by T.S. Hamilton in 1889. 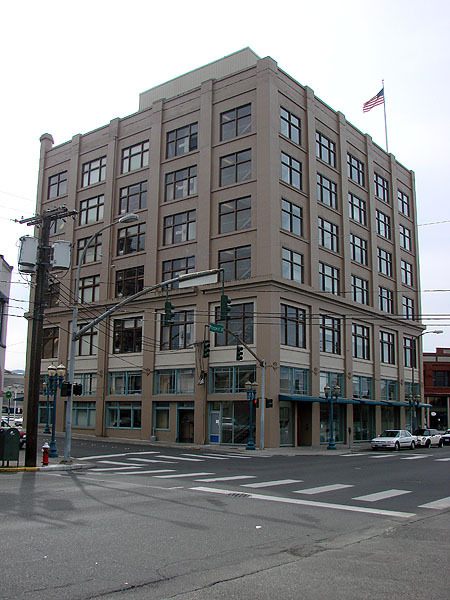 During the early part of this century, the company was one of the largest and best known on Puget Sound. 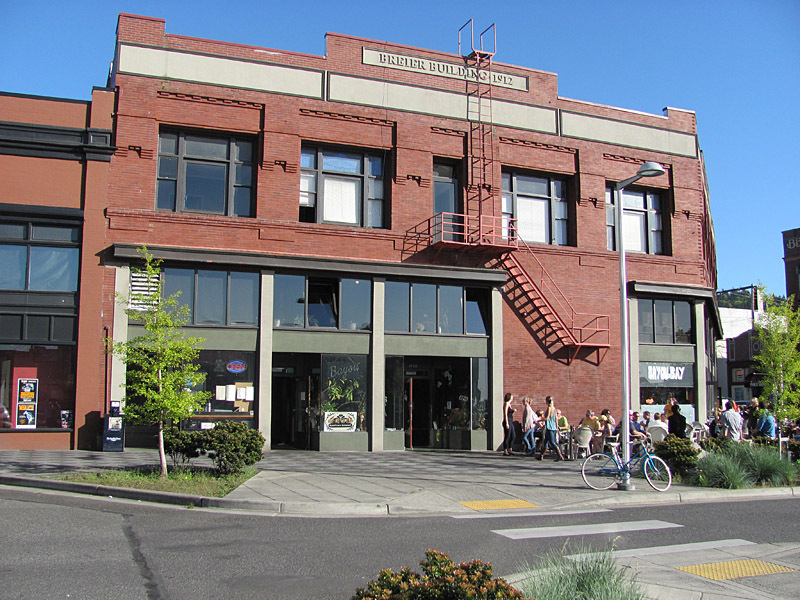 Previously, the Bellingham Bay Furniture Company had two locations; one of which was in the old Bellingham Hotel. 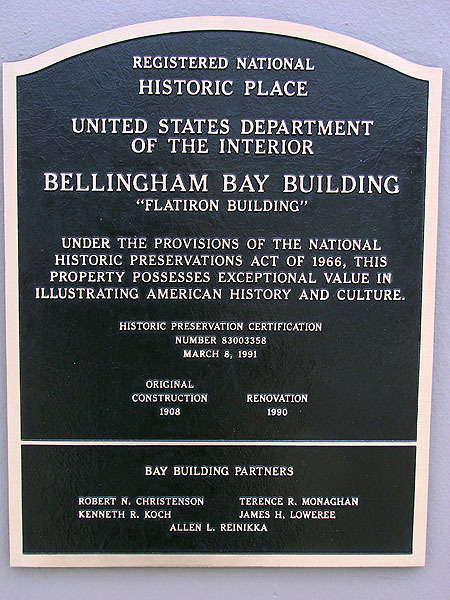 After the Flatiron building was completed in 1908, the Bellingham Bay Furniture Company moved in, remaining there until 1978. Precautions were taken to minimize the high fire risk that furniture manufacturing has. A system of internal water piping was installed, and each floor was equipped with fifty feet of fire hose. A special "fireproof" room was built for the varnish room, which is the most flammable part of the manufacturing process. The impressive blaze that severely damaged the Flatiron Building in 1924, forcing a vent through one of the elevator shafts to the roof, made these measures appear futile. Repairing the damage took several years, when the building re-opened in 1927 a water tank and an internal sprinkler system were added. 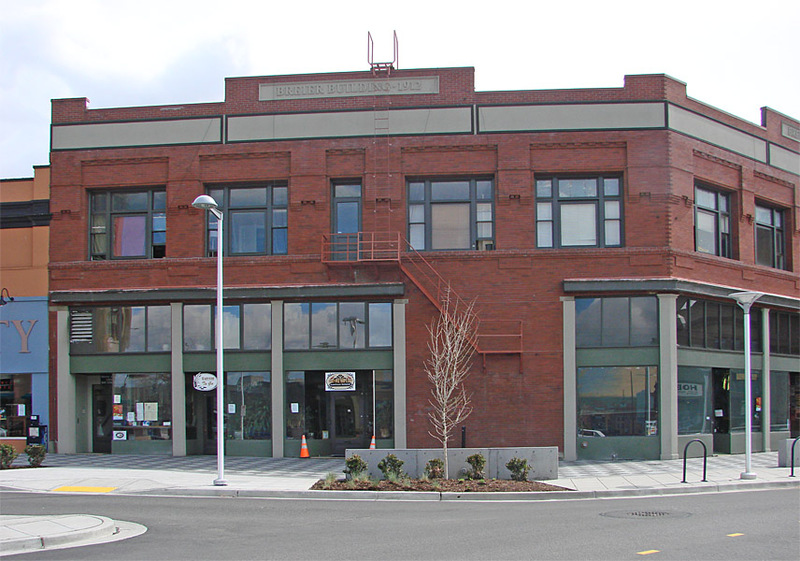 After the Bellingham Bay Furniture Company left the building it sat vacant until renovations were completed in 1990. The renovations left original glass panes along the north wall of the building and used them in re-lights along the west and east interior walls; allowing the flow of natural light to reach the entire floor. 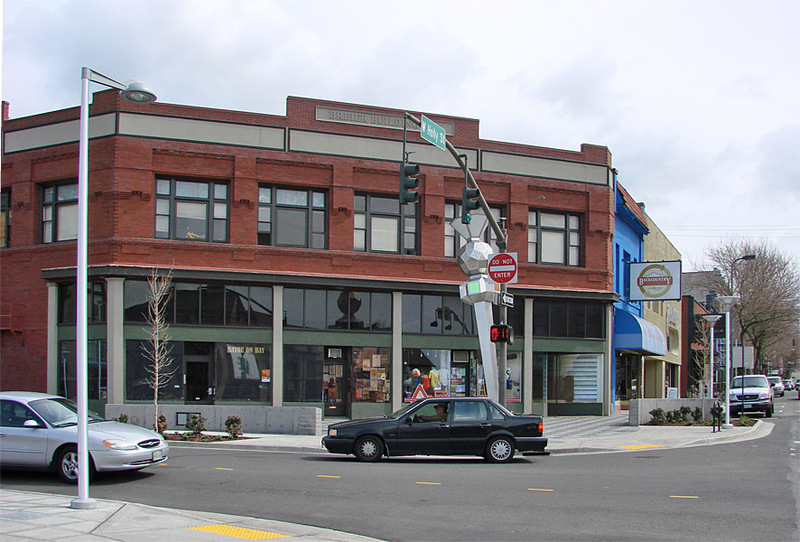 Afterwards, the Flatiron building received an Award of Outstanding Merit, recognizing the owner's accomplishments in maintaining the integrity of the original design. The Flatiron building architecturally dominates its neighborhood due to its size and unique shape and is a distinct visual feature of the central business district. Accordingly, the present occupation of the Flatiron building by Veco Engineering has energized the entire neighborhood. View from the corner of Prospect and Bay. 4/19/2009 Plaque by door.